Strategically positioned this home takes full advantage of views of the surrounding Gallatin Mountains. With inspiring vistas and 160 acres of timbered ridges and meadows, a measure of solitude and privacy are unmistakable. After all, the home was designed to be the ideal location for large family gatherings. 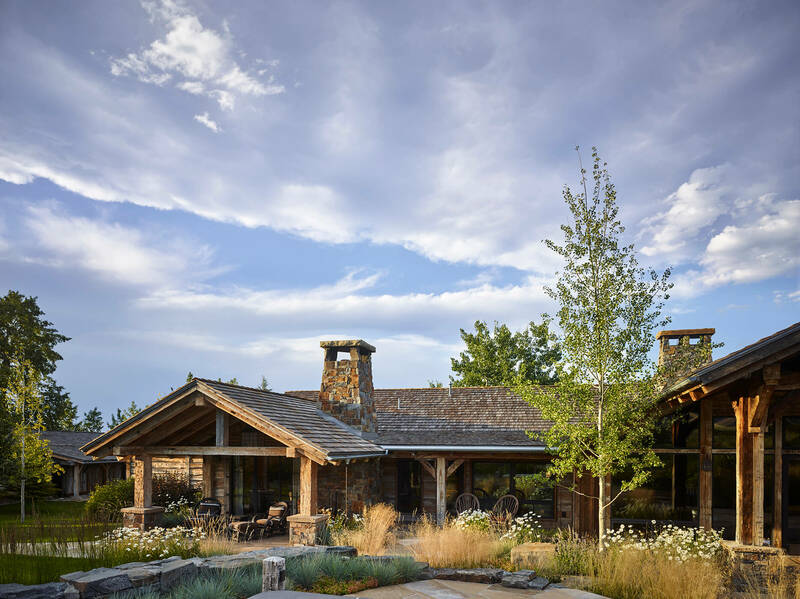 We strategically positioned this home to take full advantage of the almost-360-degree views of the surrounding Gallatin Mountains. Custom details like the ‘pizza room,’ the bar with its semi-circular fish tank, lookout tower and the outdoor hot tub overlooking the pond add to the overall originality.